You can classify exercises in a number of ways: on a scale of specificity, by the plane of movement, by degrees of freedom, by the speed of movement, or through various other methods. One approach is that of Anatoli Bondarchuk, who we have covered many times on our podcast and in our webinar on his training methods, which divides exercises into four categories based on his definition of specificity. In talking with coaches over the past few years, his method provides a simple tool that coaches in any spot can implement. But let’s be clear, it also has it’s limitations, like any method of exercise classification. 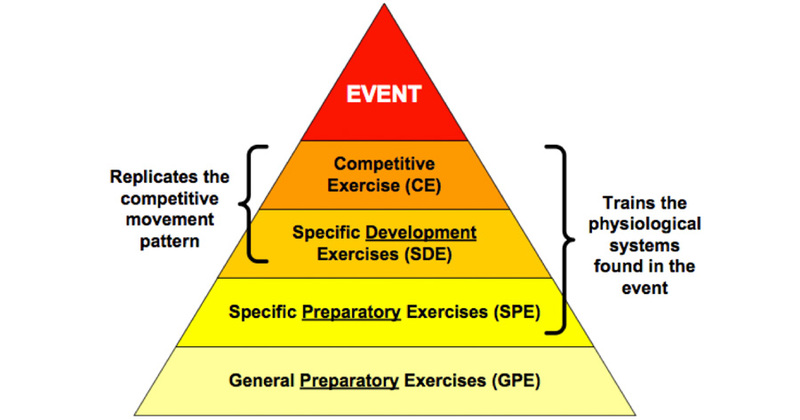 Exercise classification is the start of a process, not the solution itself. There are certain things that exercise classification can and cannot do.